Measure your current energy consumption rate using a power meter as discussed in the measurement chapter. Hot water can be a large part of your energy bill, averaging around 28%. This can be reduced substantially by using solar technologies. Cash rebates are available from the Federal government ($1000 for electric to solar conversion) and some from some state governments (amount varies). Installing a Solar Hot Water system will also earn you Renewable Energy Credits (REC) which can be on sold for $500-$1500. Solar hot water systems can have the water tank on the roof or on the ground with a circulation pump. When deciding on the type of system, consider the weight on the roof and the approvals required from your local council. Where the water tank is on the ground the roof collector is less than 100 kg.Energy savings of 60% to 90% should be expected. Retrofit kits are available for existing ground tanks which saves about 33% of hardware costs. Complete solar hot water hardware costs from $3200. Retrofit solar hot water hardware costs from $2000. Installation costs vary relating to roof type, roof height, roof pitch, distance from solar hot water collector to hot water tank and council fees. Green loans may be available to you for the capital costs of a solar hot water system. Consider a period of accurate electricity measurement of hot water power circuit before embarking on a major investment.Try to calculate your consumption per year and then work out the potential savings using the tables below. Suggestions: Minimize hot water consumption as part of the hot water strategy. Confirm that your existing hot water system has zinc anodes inside as they prevent corrosion within the tank and that they are replaced as recommended. If hot water is on its own off peak tariff then its cost can be read from the power bill. Get multiple quotes for solar hot water. Compare how many RECs can be claimed for each system which relates to efficiency. Compare the return on investment relative to other energy efficiency measures. If your existing hot water system breaks then solar hot water may calculate to be more appealing financially. Check conditions of rebates before embarking on a solar project. Solar hot water may not suit small consumers of hot water. Some suppliers referenced have online calculators for rebates. Solar power (PV) can be used to contribute to your energy provision and the Federal Government has large rebates are now available for installing solar power. If you participate in the Renewable Remote Power Generation Program (RRPGP) can get up to 50% of capital costs for solar or wind projects where fossil fuels are being replaced. When your site is located away from the grid power network alternative power may be cheaper to install than trying to connect to the grid. 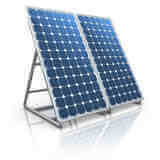 Installing a Solar Power system also earns Renewable Energy Credits which can be on sold. The cost of solar panels is around $7000 for a 5kW of panels including an inverter. Other costs to consider include labour, mounting hardware, cabling and a new power meter that can accept 2 power sources. 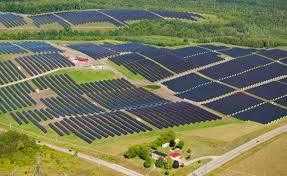 Business can install up to 30 kW of solar in Queensland if they use a zero feed in controller. This can substantially reduce the day time peak energy usage. Building energy management systems and battery storage can further reduce overall energy costs. Solar systems can be installed as a community with income coming back to the persons who initially paid for the solar panels. This concept has enhanced the Emerald State School solar installation with an additional 9 solar panels. For those with remote solar systems, then cost of batteries and inverters need to be added to the calculations of set up costs. Power transfer switching is available that can change between the solar power inverter output and generator power and it can also switch if load exceeds inverter ability. Wind energy may also work with a remote alternative energy mix. 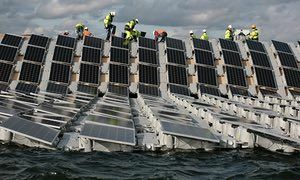 Floating solar power can be deployed on dams. This improves efficiency because its cooler and reduces evaporation. This is used in England, Japan and Singapore. Solar power is being combined with pumped storage hydro-electricity using 2 ex open pit mines in North Queensland (Kidston). This provides 24/7 power. 49 GW of solar power was added worldwide in 2016. Compare this type of calculation for your area with what you pay for electricity now and how much you use. Also consider if you will earn any feed in tariffs. Consider that electricity prices will increase over the next 30 years (the approximate life of a solar systems) while generating your own power will have a fixed up front cost only. Suggestions: Minimise electrical consumption before calculating alternative energy requirements by implementing methods discussed earlier in the book. Local Assistance: Solar Power Calculator Solar Power Cost Calculator Zero your Electricity Bill - How many home solar panels does it take? 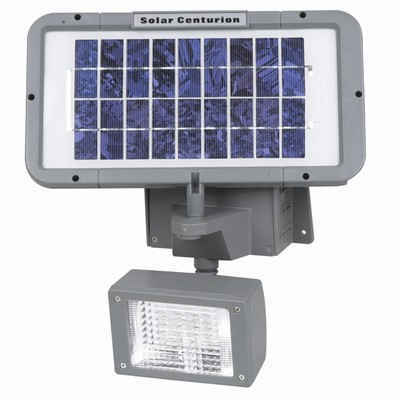 Solar security lighting contains batteries to collect solar energy during the day and will illuminate when motion is detected and the ambient light is low. It requires no wiring and can be useful in entrance ways, and for perimeter security and path lighting. The use of LED lighting with a solar power source can improve endurance of these lights. This class of lighting can be bought for approximately $40 to $150 each. No electrician is required for installation but remember to follow installation directions carefully. Solar night lighting contains batteries to collect solar energy during the day and will illuminate when the ambient light is low. It requires no wiring and it can be useful for street lighting, path lighting, bus shelters and parking lots. The use of LED lighting with a solar power source can improve endurance. Simple single LED garden lighting is available for less than $10 each. Multiple LED lighting will cost from $40 to $150 each. No electrician is required for installation, but follow the installation directions carefully. Larger lighting systems can be designed using separate solar panels, batteries and lighting with more options possible. Suggestions: Compare the cost of mains cabled lighting versus solar lighting when purchasing. Review lighting specifications to expected runtime each night. The use of solar power use could be advantageous when the cost of running trenches, conduit and mains cable exceeds the cost of a solar power system. Solar is also useful for boats, caravans and motor homes when away from mains electricity. To work out your costs calculate the likely power needs and for what amount of time. Then calculate the solar panel, regulator, battery and inverter requirements. Consider 12 volt devices that do not need to go via an inverter to save on some costs. Small solar panels costing around $30 can be used to maintain battery voltage and condition for generators, vehicles and other machinery. A simple small solar system can be set up using a 20 Watt panel (approx. $60), a regulator ($30-$70), a battery 12 volt 24 Amp hour (about $120), and a 150 Watt inverter (about $50). This system could run a 12 volt 1 amp light all night; an efficient laptop in a remote location; a fan; of a multitude of garden LED lights. Small DC fridges can be run using an 80 Watt panel and a larger battery. Small DC pumps can be operated with solar/battery system for short periods of time. Larger solar pumping systems can be used for obtaining groundwater for livestock or for people in remote locations. Other possible applications include security surveillance cameras, communication relay stations and environmental monitoring systems including SCADA. Where remote renewable power will be used to replace fossil fuel generation a 50% rebate on capital costs can be applied for in advance of the project from the Australian Government for example of up to projects less than $200000, generation greater than 450 Watts at a site greater than 1km from grid would be considered for funding assistance. 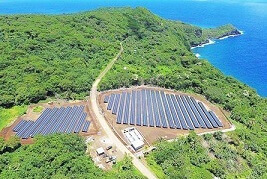 5300 solar panels (1.4 million watts) and 60 Powerpack batteries (12,000 kWh) replaces diesel generators on Samoa island Tau. Suggestions: Also consider this technology where mains availability is not reliable. Professional help with installation can avoid safety issues. Twelve volt lighting operating from a battery is suitable for alternative power systems and is classed as low voltage which then gives you greater freedom on who can do the wiring. LED lighting, CFL and fluorescent lighting can operate from 12 volts DC. Running DC devices saves some inverter provisioning and improves efficiency by not needing to go through an inverter. Most lighting formats are now available in 12 volt styles and if supplied from an alternative energy power source once set up they can be operated practically for free. Suggestions: Use alternative energy or switch mode power supplies to supply the 12 volts. Include overload protection components for each lighting circuit. It is now possible to sign up with your electricity company for a green power option for all or part of your power bill. There will be a slight increase in the cost of your electricity if you nominate the green power option. It is suitable for people who rent or move frequently or those who want to make a difference. If the demand for green power increases, electricity companies will need to build more green power generators such as wind, hydro, solar and biogas to accommodate the demand by making this choice. People power could go a long way in contributing to the solution of reducing carbon emissions. Suggestions: Buy at least a part of your electricity from green sources. Perform comparisons between suppliers including where the green energy is coming from and try to acquire 100% Green sources. This is a new class of alternative energy that is cheap to set up and expand. It works with lower initial wind speeds 1 m/sec as compared to large wind turbines. The system consists of plastic turbines where the outer circumferences have a tooth finish so that they can be interconnected. A 12 turbine kit is capable of 100 Watts at 10 m/s winds. Newer models that can automatically turn to face the oncoming wind are more efficient. The cost of micro turbines is less than solar to set up and would suit cool windy areas. Another new wind turbine design is to use multiple smaller wind turbine blades on a common shaft. A 2 kW turbine can be bought for US $2000, plus the cost of the tower. Vertical wind turbines can be set up on top of buildings and will work with urban turbulent wind attributes. Special regulators are required for wind power as all power generated must be used up for charging batteries, directly to the load or a dummy load in a power or heat dump. Special control equipment is available to use the wind energy to charge batteries and run an inverter to a load with a fallback of switching to mains power. This type of system achieves use of all wind energy produced in a day. Suggestions: Experimental kits are available. This will accommodate large variations in wind speed. Micro turbines are less obtrusive to large wind turbines. For larger energy requirements of 200 to 20000 Watts and in areas with wind speeds of 3 to 20 metres per second, wind turbine kits are available. The costs of wind turbines are less than solar but require clear space for a tower and guy wires. A 1.8 kW wind turbine is available with inbuilt 240 V grid feed inverter for approximately $11000 (plus tower). This type of wind turbine is being piloted in New Hampshire (USA) on top of power poles with the electrical lines lower down the pole. A 20 kW DC wind turbine can be bought for $32000 (plus tower). Obstructions such as houses and trees should be distant from the turbines. Wind maps are available to see what type of winds can be expected in your area. For larger projects multiple turbines can be used. The larger the turbines, the better the economies of scale in terms of setting up manpower and equipment hire. Connection to the grid high voltage lines may be required so consider the voltage and the distance. Large turbines can be bought in the range of 300 kW to 2500 kW, with the largest ever built record at 8000 kW. Wind energy will reduce diesel generator running costs when used with storage systems such as batteries and flywheels. Distributed wind farms on the grid can improve wind energy availability. Careful selection of location can achieve over 90% availability for wind generated electricity. Wind farms can be built off shore, as seen in Denmark and the UK. Building wind farms close to the end users of the energy can reduce capital costs and reduce transmission losses. Wind energy can be produced for less than 5 cents per kWh. Ireland is in the process of constructing a 200 turbine wind farm with a generating capacity of 520 MW which will accommodate 10% of the countries needs. Portland Victoria has a 120 turbine, 195 MW, A$330M wind farm in construction. Areas around wind farms can still be used for grazing. Mawson Station in Antarctica has a 600 kW wind farm which is used for electricity, melting ice for water and general heating. A community group is organising two 2MW turbines in Hepburn Shire Victoria using a share offer to raise the necessary funds. Wind farms do not depend on water supplies like conventional thermal plants and hydro electricity. Tasmania and Queensland have had to turn down electrical output at some plants due to lack of water. As each wind turbine is connected to the grid it can start making a return on investment which is an advantage to large solar thermal plant with needs to be completed before creating electricity. The Gansu Wind Farm in China reached 6000 MW in 2012. 54 GW of wind power was added worldwide in 2016. Suggestions: Confirm that your average yearly wind speed is 6 metres per second or higher. Cool air is denser and therefore generates more energy for the same wind speed. Consider local planning approval requirements of large tower. Solar thermal energy can be harnessed in many different ways. At a simple level multiple curved mirrors with a focus point can be used to create steam. This is a system currently being used in hospitals for sterilising equipment; provide an input for absorption chillers cooling units or to run conventional thermal electric generation plants. 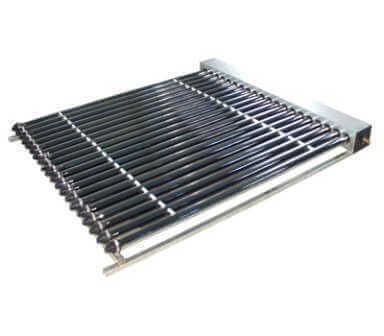 This technology can also be used to preheat steam for existing coal or gas thermal electric generation plants which in turn reduce raw material requirements and reduce carbon footprint. The Liddell coal thermal plant in NSW has a solar thermal section helping to produce steam. Smaller systems for example 25 kW, are available using a parabolic dish with a Stirling thermal engine at its focal point. Solar thermal plants can store steam to supply power up to 20 hours a day. A manufacturing plant, using an Australian design opened in 2008 by the company Ausra in Nevada (USA). This plant can produce 700 MW of solar thermal equipment per annum. Its first big contract is for a 177 MW plant in California covering 1 square mile. Presently the largest group of solar thermal plants in the world is in the Californian Mojave Desert and generates 354 MW. The cost of solar thermal generation output is similar to gas fired power stations (US 10.4 cents / kWh). 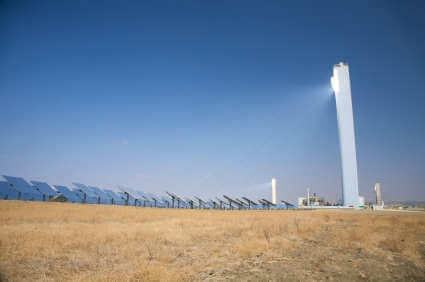 In 2007 a 64 MW plant was opened in Nevada (USA) covering 400 acres and costing US $266 M. A 10 MW solar thermal plant is planned for Cloncurry Queensland Australia at a cost of $31 M. Additional project for plants producing over 50 MW are being coordinated in South Africa, Spain, Florida, Arizona and Israel. Once the capital cost is paid for then solar thermal is cheaper than coal thermal to run. Solar Thermal can also store heat with molton salt storage. This allows energy generation at night. This is in use in Spain. Suggestions: This technology can control electrical energy generating costs in an environment of rising costs for coal, gas and nuclear raw materials. Thermal coal prices have more than doubled between 2006 and 2008. Unproductive land can be used for electricity generation. Electricity can be exported across borders. 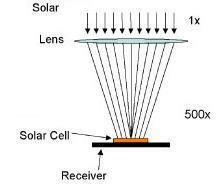 There are many designs to magnify the sun onto high efficiency solar cells. Magnification of the sun by a factor of 1000:1 in area is now possible. The best multiple junction solar cells currently available are near 40% efficient. To achieve better efficiencies with this technology the system needs to track the sun throughout the day. The benefits of such systems is a lower overall cost in $ per Watt output; no requirement for water systems; solar cells will be a smaller proportion of overall costs; and higher output will be achieved by tracking the sun with the best efficient solar cells. Australia is planning a 154 MW plant in Mildura Victoria at a cost of $420 M. This will utilise tracking mirrors directing sunlight to a central tower containing the high efficiency solar cells. 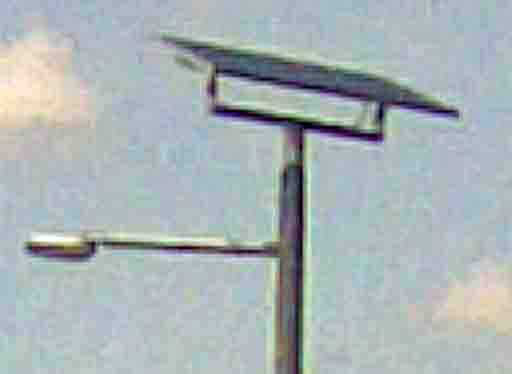 Smaller individual parabolic dishes with solar cells at the focal point are available and will generate 35 kW. The payback period is 5 years. More dishes can be erected as required to suit electrical requirements or to extend an existing solar system. If new higher efficiency cells come out then the small 0.23 metres squared cells can be easily be upgraded. Other designs available use lenses and parabolic dishes to achieve a rectangular prism shaped system. Smaller systems which can compete effectively with regular flat solar panels are coming to market. Comparing $ per kWh output of CPV systems to flat solar panels, CPV is more cost effective. Suggestions: Very suitable for regions that depend on diesel generators.